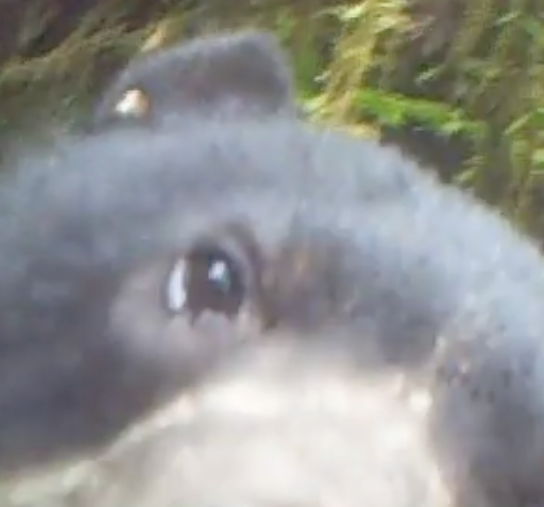 A series of remarkable new camera trap videos set up with the help of Exeter University biologists has revealed some of the first ever footage of a critically endangered bird, the Sira Currasow, and has confirmed the presence of the vulnerable spectacled bear, on which the children’s character Paddington Bear is based, in the Sira Communal Reserve of Peru. The hidden cameras also captured 30 species of mammals including jaguar, giant anteater, Brazilian tapir and puma. Biologists from the Universities of Exeter and Glasgow, along with scientists from Peru, captured the footage during an expedition to survey and document animal life in a remote, high altitude forest in the Cerros del Sira, a rugged mountain range close to the Andes in Huánuco, central Peru. The team deployed 22 crowd funded camera traps in March 2015. The cameras stayed in place until last week when the team returned to the area to retrieve the results. In addition to the Sira Currasow and the spectacled bear they documented 145 species of bird, 41 species of amphibian, 10 species of lizard and 7 species of snake, of which it is thought that two lizards and three frogs are new species, previously unknown to science. Dr Chris Beirne from the University of Exeter said: “The results of our expedition and these incredible videos highlight the importance of the Sira Communal Reserve in maintaining biodiversity in the region. 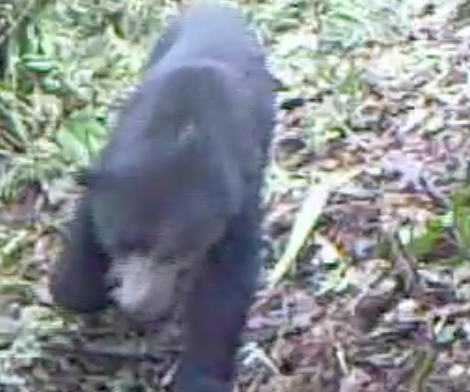 The camera trap footage provides the first hard evidence of the presence of the Andean spectacled bear in the reserve. The bear is listed as a vulnerable threatened species by the IUCN red list. The sighting is 100km from its closest known location and represents an increase in its range of up to 540,000 hectares which potentially adds enough habitat for around 325 adult bears based on previous density estimates. Andrew Whitworth from the Crees Foundation and the University of Glasgow said: “Our new records of the Spectacled Bear highlight the Sira Communal Reserve as a stronghold for the species and demonstrates its importance at the national level. “We have fantastic videos of these charismatic bears – they were very playful with the camera traps, the footage shows them sniffing, licking and nosing the cameras. The Sira Currasow is listed as critically endangered by IUCN as it is restricted to the Cerros del Sira mountain range but only exists in higher elevations. The species was first described in the 1970s but not observed again for thirty years. The population is believed to number fewer than 250 mature individuals and is thought to be in decline. Prior to this expedition, only one photograph of the bird was in existence. The wide altitude range of the Cerros del Sira, from 600 to 2400m, and its location close to the Peruvian Andes, but isolated from the main Andean chain, mean that it hosts a unique, but poorly understood range of species. The expedition was supported by The Neville Schulman Challenge Award from The Royal Geographical Society (with IBG), IdeaWild and CrowdFunder. HandyKam provided discounts on camera equipment.